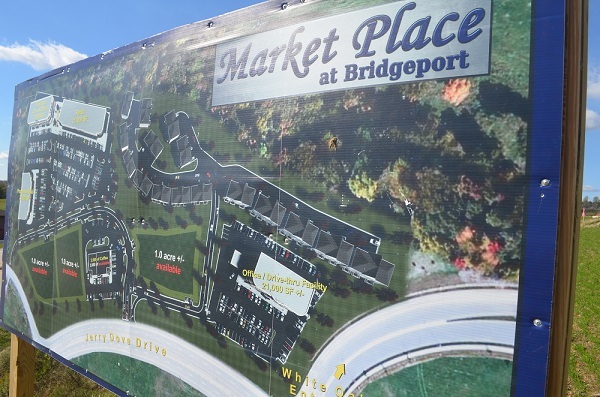 It’s been a while since the developers of Marketplace at Bridgeport have announced any new businesses. In fact, the last business to announce they were coming that has since opened its doors was a little less than a year ago when Don Patron made it official. Since then, development has been quiet. Dave Biafora, the head of Metro Property Management handling the development just past the entrance to White Oaks, said it’s about to change. Biafore, who is involved in multiple development deals in the state including acquiring the former Middletown Mall property, aid the building will likely house two businesses. One of those, he said, will be in the food industry. The other will be of an unknown variety. The building will mark the third at the site. The first is the office building that will house the new drug recovery program the Summit Center that United Hospital announced last year. The other building houses Don Patron, the Countertop Store and Anatomical Designs. The second building is actually located just outside the city limits. He hopes to have those spaces filled soon that remain in that structure. “We have a couple of leases out on the shopping center,” said Biafora. Last year, Biafora announced that Crabshack Caribb would be opening a location there and that it was looking like sometime in 2018. Despite no work happening, Biafora said they still plan on coming. Biafora admitted to things slowing down. He said part of it deals with other development and working on banking and negotiating deals. Biafora said he hopes to have some official announcements in the near future.